Why See The Fun Show with Cat and Nat? Hang out with Cat and Nat! With a YouTube channel with over 30,000 subscribers, Cat and Nat are the coolest mom's on the web. Battling modern pre-conceptions of the 'perfect mom' Cat and Nat, and their hilarious videos, have built up a strong and ever-growing following of people from all over the world. 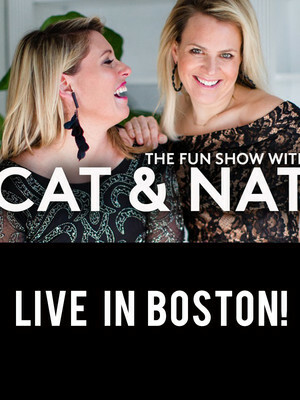 Now, Cat and Nat are stepping out from behind the camera and onto the stage with their new The Fun Show with Cat and Nat. After previous success with their first tour, Cat and Nat take their night full of fun, frolics and chit-chat live for the first time. Come and hang out with these hilarious mums and other like minded people for a night you'll never forget! Sound good to you? Share this page on social media and let your friends know about The Fun Show with Cat and Nat at Pantages Theater. Please note: The term Pantages Theater and/or The Fun Show with Cat and Nat as well as all associated graphics, logos, and/or other trademarks, tradenames or copyrights are the property of the Pantages Theater and/or The Fun Show with Cat and Nat and are used herein for factual descriptive purposes only. We are in no way associated with or authorized by the Pantages Theater and/or The Fun Show with Cat and Nat and neither that entity nor any of its affiliates have licensed or endorsed us to sell tickets, goods and or services in conjunction with their events.